Partial Lunar Eclipse on June 4, 2012 at 9:55pm. Photo taken from Townsville. Whitetip reef shark (Triaenodon obesus), photographed in the north of the Great Barrier Reef, on Kalinda’s Far North Expedition. Roboastra gracilis, photographed in the waters off Pelorus Island, Queensland. This photograph is a finalist in the Panda’s Thumb Photography Contest. If you’re interested in heading over there and voting for the best photograph – and I won’t blame you if you think it’s mine *hint hint* – then I won’t stop you. Juvenile yellow boxfish (Ostracion cubicus), photographed in the waters off Pelorus Island, Queensland. Yellow boxfish have four life stages, each very differently coloured. Longfin grouper (Epinephelus quoyanus), photographed in the waters off Pelorus Island, Queensland. I love these fellows. Their habit of finding a bit of sand or a bit of rock and sitting around on it, instead of darting all over the place like most fish, makes them terribly easy to photograph. Phyllidia ocellata, photographed in the waters off Pelorus Island, Queensland. Nudibranchs (including Phyllidia ocellata) form a “clade” (meaning that all species of nudibranch descend from a common ancestor that no non-nudibranch descends from) of predatory sea slugs. Nudibranchs tend to be vibrantly coloured, and there is a great deal of variation between species in not only the colour patterns but even in the anatomy – which makes them great photography subjects! Blue-spotted stingray (Dasyatis kuhlii), photographed in the waters of Pelorus Island, Queensland. 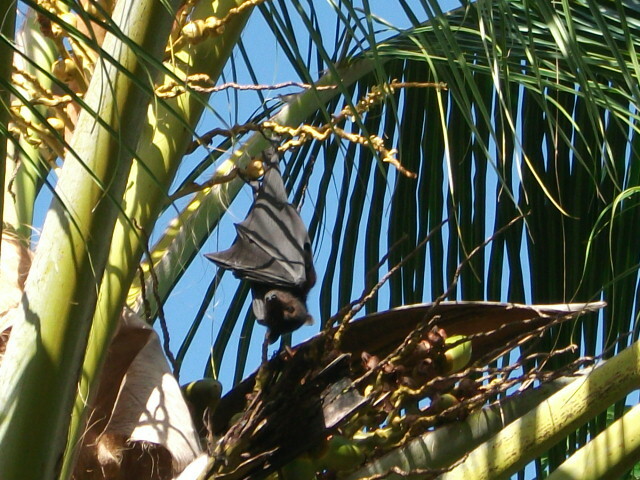 Black flying fox (Pteropus alecto), photographed on Magnetic Island. In other news, it turns out I’m still alive. Who’d have thunk it? 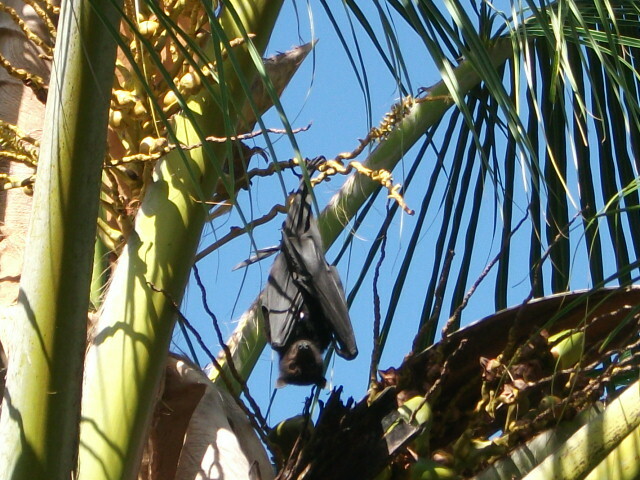 Hypolimnas bolina, photographed in Townsville, Queensland. 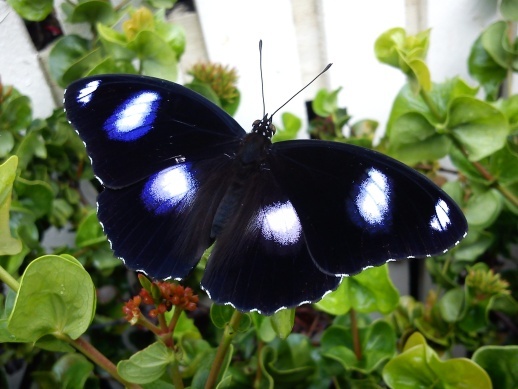 This species is sexually dimorphic (that is, the different genders look very different to each other) – this is a male. At this point, I think we can all agree that I’m rather bad at blogging. I recently moved to Townsville, and have more or less settled in by now – so hopefully I can get something a bit more regular going here!